This was a piece of art that Cora came home from school with. 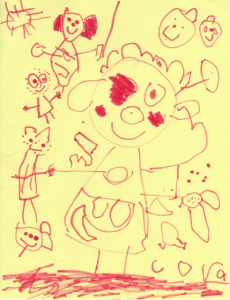 This was an amazing picture that she came up with all by herself. In Cora’s words…. Some of the art is a reflection of Creative Galaxy, which is a show that she has been watching. On Harlan and Cora, in the picture, you can see elements of pointillism which was from one of her favorite episodes. 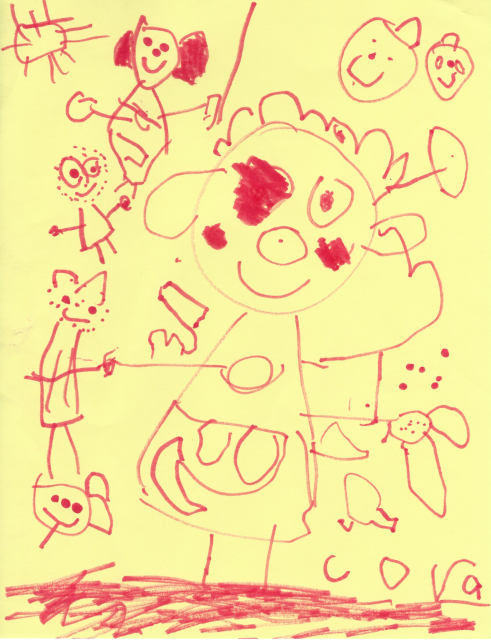 Cora has definitely loved to draw and it is great to see her really starting to express it.